because he was talking alot and being very active, i find that people who tend to think too much about the consequences of what they do and end up staying too quiet. i wanted to vote funnygurl more at the start of D2 but after star-crossed pushed on him he seemed defensive and shifted blame alot and i went with my instincts(also i didn't want to split the votes ). sorry if i sound quiet myself I'll try and work on that more in the future. if you thought he was exhibiting overall townie behavior, why was he still always near the top of your list of suspicious players? Prior to star-crossed pushing you to vote for him, what about his actions seemed wolfy to you? Hello, I remember this game. I've been focused on Smash, so I'm mighty sorry if you folks were expecting me to make some great posts or something. I still standby that if I get lynched that I am fine with that, because it's either me or FunnyGurl here. If it's actually not FunnyGurl, the the wolves have already won. Oh, no, you misunderstood me, but that's understandable, lol. I meant if it's not funny, then the most logical progression would be me, but I am not a wolf and there's really nothing in my posts that can point to me being town since I was heavily against lynching Wayward. So really, it'd be just a slam dunk on the wolves if both me and funny are not wolves and it's actually either. 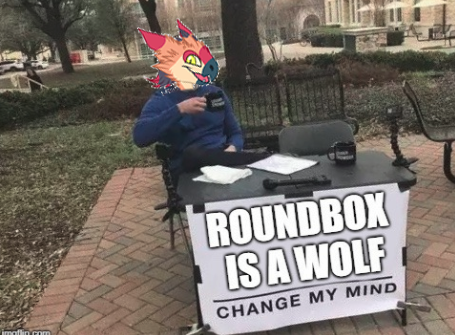 it's more likely for the wolf to be ffa and not antori. really unlikely for antori or jess to be wolves.